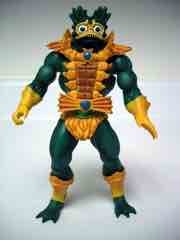 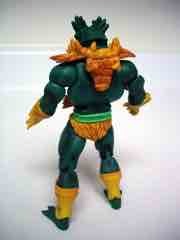 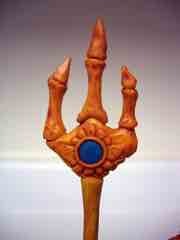 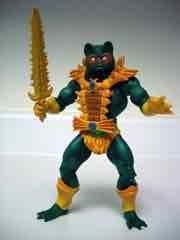 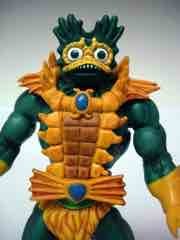 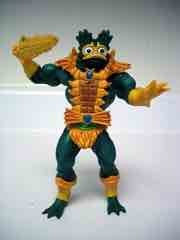 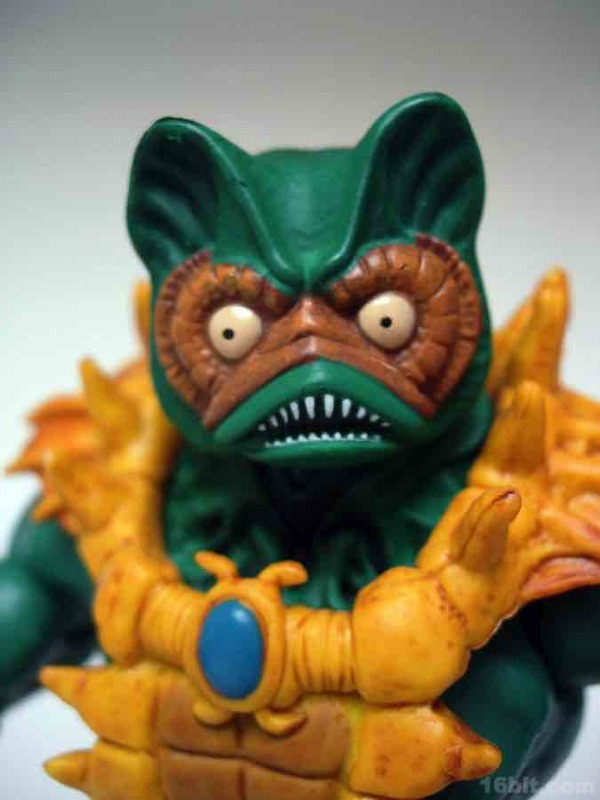 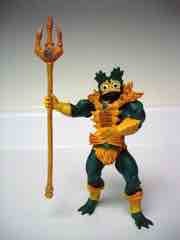 Figures like Mer-Man are the reason I pay attention to He-Man at all. 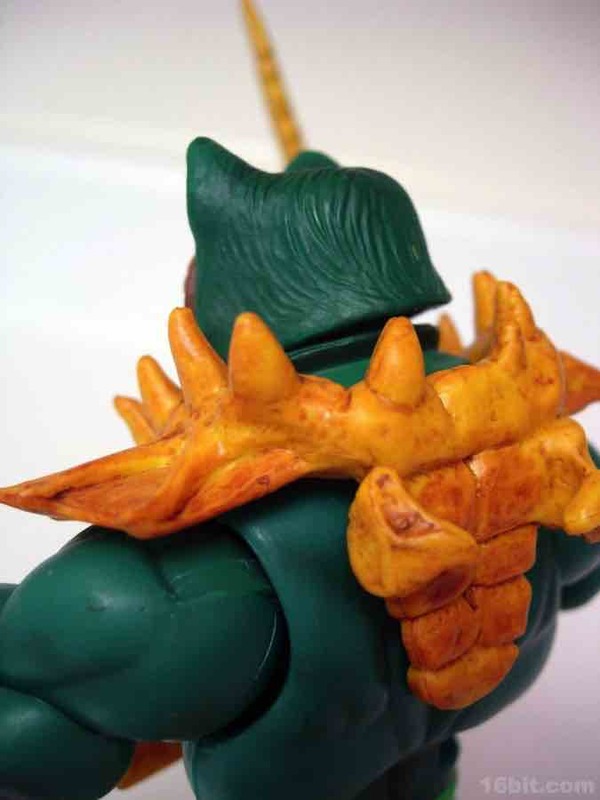 In the early 2000s, the first prototype for Mer-Man was gorgeous because the sculpting was great and they included a revised head sculpt which looked a lot more like the packaging art for the original toy, and not the original toy. This 2009 (and 2010 reissue) release decided to do one better and include both heads, so you can select if you prefer the 1980s or 200X look. I appreciate this, but I vastly prefer the big eyes and fishy gills of the 200X head over the (oddly) somewhat furry 1980s noggin. 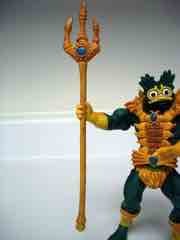 Essentially based on the Skeletor body with a new hand, new head, and some armor, Mer-Man is actually quite a delight. With 20ish (or more, depending on how you count) points of articulation, the figure is better than the previous Mer-Man toys in just about every way. While there's no action feature, the muscular fishman looks just as you might remember him which, thankfully, is better than the old toys looked. 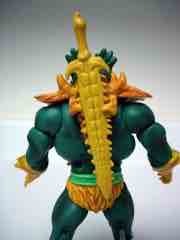 At about 7-inches tall, he's also much taller and sports a ton of detail that you just didn't see in older Mattel toys. So yeah, two heads-- on the left is the default noggin, based on the original toy. 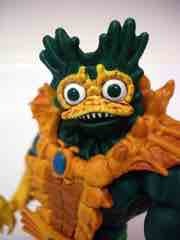 Not very fishy, is he? 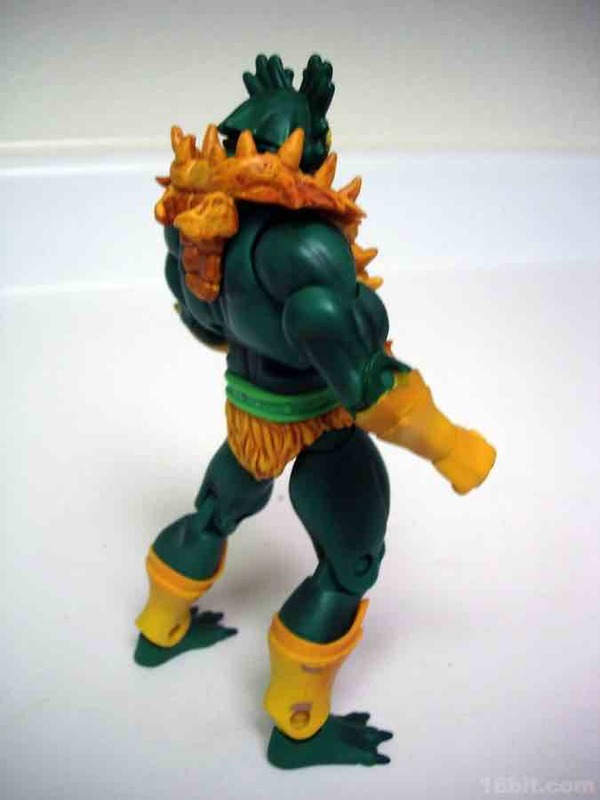 He also has some hair on the back of his neck, which is very "Man" but not especially "Mer." 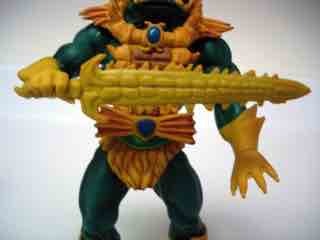 The piranha-like fangs are a nice touch, and in this respect he looks more menacing with this head than the other one. 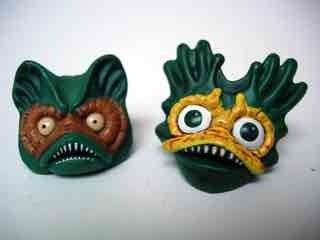 Head #2 is much cuter, with big eyes and a face that is a little more duck-like. I'd rather he look vicious, but the overall head design is more like a Sea Monkey than it is like a... well, a skunk man in green, for example. I really do admire Mattel's decision to include both so you can pick which one you would prefer. The Masters of the Universe Classics line kicked off with slow sell-throughs and higher aftermarket prices, but this has changed-- today you can get Mer-Man here on eBay for about $20 before shipping. The figure was about $28 shipped from MattyCollector.com, so keep that in mind when deciding between buying one now or whining that Mattel doesn't have it for sale direct just yet.